Yes, it’s true! There is a new addition to the PhenylAde® GMP line of PKU formula. 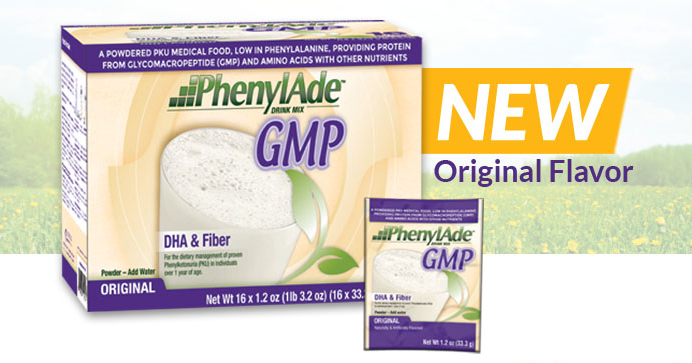 PhenylAde GMP Original Flavor is a mild and neutral tasting PKU formula that contains Glycomacropeptide (GMP), made from a whole protein source. 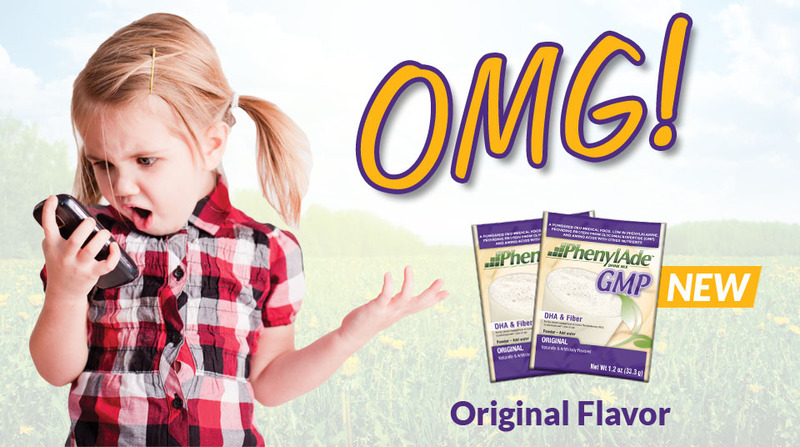 PhenylAde GMP Original Flavor was created based on feedback from you, the PKU community. We heard in-person, online and from your clinics that you wanted a neutral tasting GMP-based product that was mild and easy-to-drink. The PKU community spoke and Nutricia listened. We are proud to add this great tasting formula to our PKU product line. Many people with PKU sampled this new GMP-based PKU formula at local or national events this summer. We wanted your input. The feedback was fantastic! We truly hope everyone who is seeking a GMP-based PKU formula enjoys the mild, neutral taste of this new GMP-based formula for PKU. PhenylAde GMP – Now Available in 2 Great Options! Previous PostPlan Ahead for a Memorable HolidayNext PostIt’s a New Year! Find a New PKU Formula.